London is a great place to live. There are so many opportunities to live your life to the full – whether in your career, going for a great night out, enjoying the arts and cultural events, or just spending time in one of our many great green spaces. London is a wonderful, vibrant and diverse city. And I am so glad to see that we have a most wonderful, vibrant and diverse group of people standing to be our candidates for Mayor and the London Assembly. We are truly representative of the people of London and I think that makes us an excellent group to represent people in City Hall. But, for many people, London is also a dreadful place to live. Low incomes and high prices make it difficult for people to afford anywhere decent to live, to pay their bills, and even just put food on the table. The air is badly polluted and our transport systems are getting worse not better. 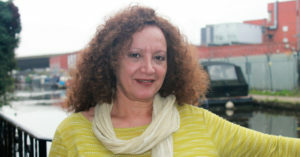 People face daily discrimination and often don’t feel safe walking down the street. Our police service which should be helping to tackle some of those problems sometimes feels like it is making them worse. Unfortunately many of the politicians in charge are not doing enough to improve the good and doing hardly anything to deal with the bad. Most people are fed up with them. People are fed up with politicians who lie to get what they want and don’t care who gets hurt as a consequence. People are fed up with politicians who only care about keeping power for themselves and their parties and ignore the people they are supposed to represent. People are fed up with politicians who spend all of their time and our money on publicity gimmicks instead of tackling the real problems. I am standing as a candidate in these elections because I believe I am different and, more importantly, I believe we in the Green Party are different. We are true to our word and we are not afraid to speak out on injustice. We genuinely care about people and we believe that achieving good results is more important than advancing ourselves. As a straight, white, man I am far more privileged than most people in our society and I believe it is my duty to change that. As a candidate and as an elected representative I would work hard to promote voices that are often ignored. I will aim to put power back in the hands of people and bring Londoners into the decision making processes so that City Hall works for people, not governs over them. The diverse group of people we have standing for selection is a good start. But we must not lose that by focusing on one or two people during our campaign. If we are to do well at the 2020 elections then we must work as a team to show Londoners that we value different perspectives and we will bring that diversity into City Hall. We each have experience and talents that will contribute to that team and so I realise that it is a difficult task for members to decide who to select. Personally I spent many years working in the civil service developing and delivering Government policies and helping Ministers to present those policies to the public. So I know how the government machine works from the inside. My final project was to produce the UK renewable energy plan for the European commission, showing how we would hit our agreed targets. Even though the coalition Government agreed the plan it was clear that they were already manoeuvring behind the scenes to undermine it. This was the final straw for me and I could stand the deceit no longer. I decided to leave the civil service so I could work to deliver the policies that I believe in. I joined the Green Party and have stood as a candidate in every election I could since then, including being on the assembly list 4 years ago. 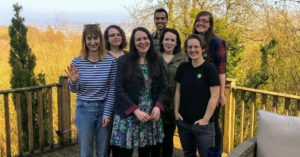 Within the party I work in roles at local, regional, and national level and I am also a member of the advisory board for our Green Party MEPs. Outside of the Green Party I currently work for an environment conservation charity and work with volunteers and volunteer groups to look after our parks, woodlands, and green spaces. I am also a member of my local residents association, the friends group of my local woodland and (as chair of the Croydon Friends of the Earth group) I recently led a successful campaign to get the Council to stop using glyphosate weed killers. I am a passionate supporter of Green politics and I believe that we need our compassionate, caring, and common sense approach now more than ever. We are different to the other parties and we can show that London can be different. We can have a city that values everyone as an individual. Finally, there are two themes that I want to run though our campaign: fun and hope. Politics is a serious business but we are also the party that believes in making people happy. Our campaign should be fun for all our activists and should put a smile on Londoners’ faces. We can work together to make this the happiest city in the world. Secondly, as Raymond Williams once said “To be truly radical is to make hope possible, rather than despair convincing.” We can give people the hope that London can be better than it is and we can give them the belief that electing Green Party candidates will help make that happen. I hope to be part of that team as your Mayoral candidate and one of your Assembly list candidates and then work in City Hall to achieve the changes we all want to see. 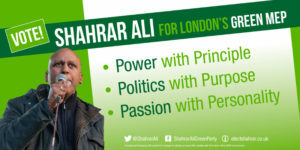 If you would like me as part of that team then please put me as your first choice for Mayor and London Assembly. Peter Underwood is a Green Party activist. 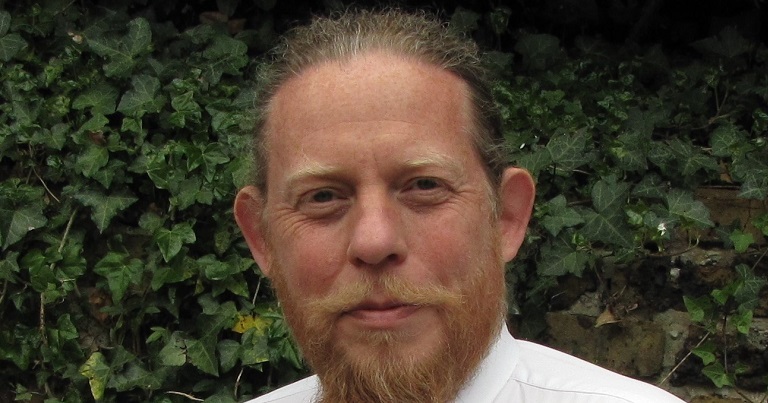 He has previously served as chair of Croydon Green Party, and is currently a member of the Green Party Regional Council, representing London. Articles from all candidates can be found here.